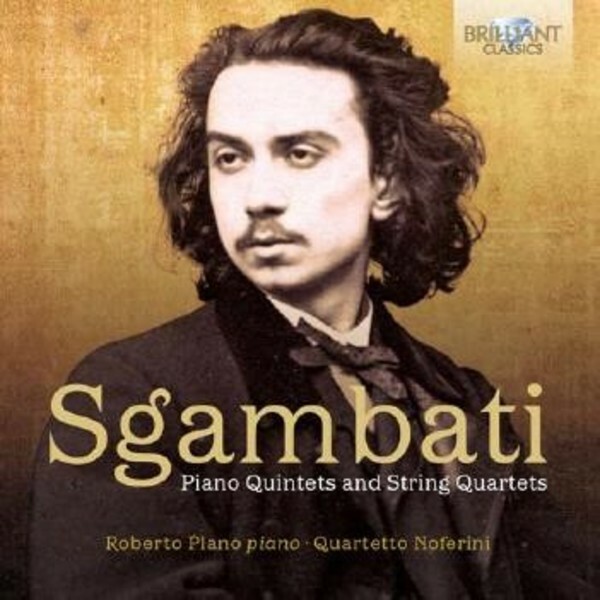 Giovanni Sgambati (1841‐1914) was an important composer in 19th century Italy. A pupil and disciple of Franz Liszt, he was one of the most brilliant pianists of his day. However, he was a composer, a conductor, a teacher and a patron as well, composing symphonies and chamber music in a country where opera was predominant. Sgambati�s musical language is romantic pur sang. Rooted in the German tradition of Mendelssohn and Schumann, he was further influenced by his great mentor Franz Liszt and by Wagner (as so many in that age). This 2CD set contains two string quartets and the two piano quintets, impressive works of substantial length, richly textured and full of instrumental virtuosity. These are excellent performances by Italian forces - the great pianist Alberto Plano (a Van Cliburn Competition winner) and the Quartetto Noferini.